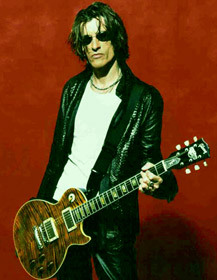 Joe Perry Biography, Discography, Music News on 100 XR - The Net's #1 Rock Station!!! Anthony Joseph Perry was born September 10, 1950, in Lawrence, Massachusetts USA; he began playing the guitar in his early teens; after playing in three different short-lived outfits, Perry became a founder-member of Aerosmith with vocalist and then drummer Steven Tyler. 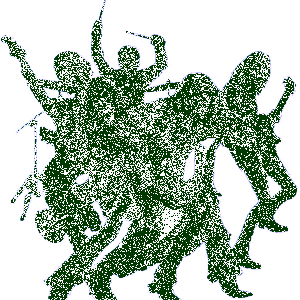 The group was one of the most popular Hard-Rock bands of the '70s but the band ran into creative and personal problems by the end of the decade. The guitarist left Aerosmith in 1979, subsequently formed The Joe Perry Project with vocalist Ralph Mormon, bassist David Hull and drummer Ronnie Stewart; their debut album "Let The Music Do The Talking" was issued a year later on Columbia Records, it reached the #47 on the U.S. Top 200 LPs & Tapes chart; during the tour in support of the album, Mormon was fired. For his second album, Perry hired rhythm guitarist Charlie Farren, "I've Got The Rock'n'Rolls Again" barely made the top 100 in U.S. Pop chart. Meanwhile, he fell victim to drug abuse and in 1984 released the third and final Joe Perry Project's effort, which featured a new backing band. The guitarist returned to Aerosmith that same year, resulting in a much-hyped reunion tour; the newly revitalized group released a string of successful albums, hailed as one of the most remarkable and unlikely comebacks in Rock history. Joe Perry issued in early May 2005 his eponymous solo effort on which he played all the instruments except drums; "Shakin' My Cage" was the first single pulled from the album which reached #110 on The Billboard 200. October 2009 saw Perry release a new solo studio record entitled "Have Guitar, Will Travel".